The children of King’s Park P.S, as part of their charities this year, raised £400 for the Royal British Legion and £400 for the RNLI. The money was raised through a Sponsored walk entitled “Mad Hair Day” in the park. Pictured receiving a cheque on behalf of the RNLI is Mr Brian Cassells and school principal Mr Shields. 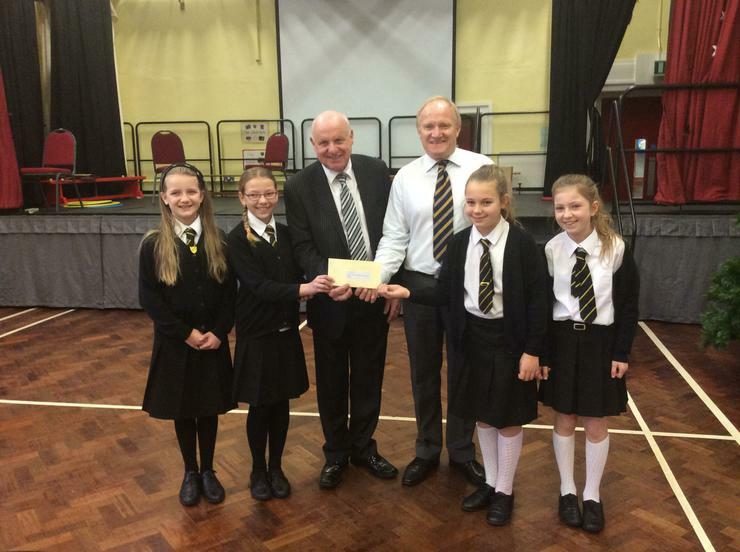 P7 pupils presented the cheque during a school assembly.